Michelle is currently the VP of Client Development for HireNetworks, an IT executive recruiting and staffing firm based in Raleigh. She is a Certified Personnel Consultant with almost 20 years of experience in the executive technology search business. Prior employers include DCRI, a national personnel and employment services company, and the Sapient Corporation, a Cambridge, MA based software consulting firm. 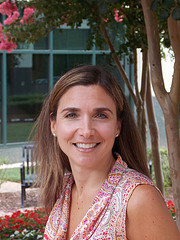 Michelle has been a Board Member and President of the North Carolina Association of Staffing Professionals (NCASP). She was named the NCTA – North Carolina Technology Association’s Ambassador of the Year for 2014. She was a co-founder and President of the CRTEC (Charlotte Regional Technology Executives Council) organization in Charlotte, and is also an active member of SIM Charlotte, Apparo, and Ballantyne IT. Michelle received a BA degree in Economics from Boston College and lives in Charlotte, NC with her husband and two children.